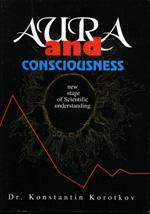 What is Aura from modern point of view and how it may be studied and measured? How we can measure consciousness influence to the physical world? How GDV technique is related to Kirlian photography? All these topics and a lot of others are discussed in this book. Mainly it is dedicated to results of GDV technique basics and practical applications – the technique has drawn strength both from quantitative processing and the new scientific understandings of subtle dimensions. GDV technique benefits both from the beauty of colorful star-like pictures and from the accuracy of their statistical analysis. St. Petersburg division of Russian Ministry of Culture, State Publishing Unit “Kultura”. 302p. 76 charts, 16 col. ill., bibl.